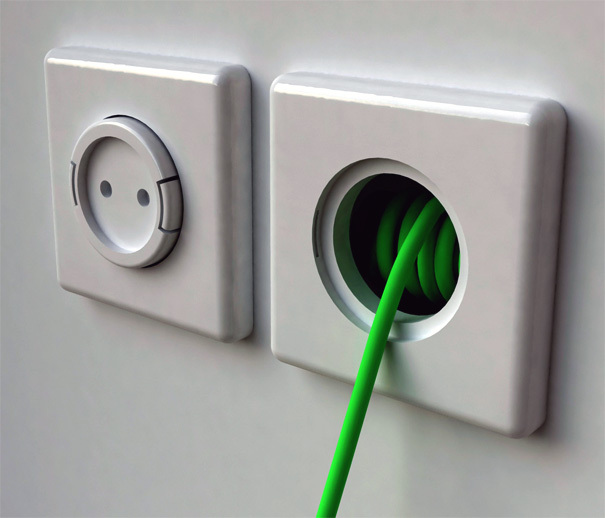 The Rambler Socket from designer Meysam Movahedi is maybe the solution. 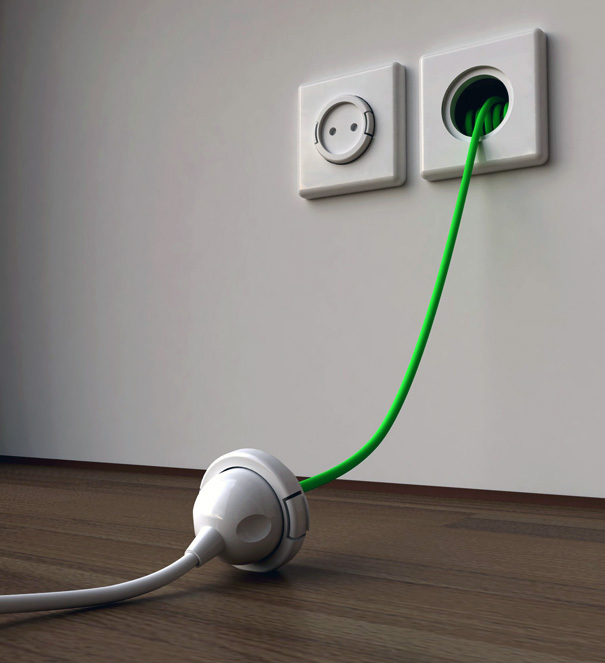 The extension cord of almost 1,5 meters cord can be stored inside your wall. 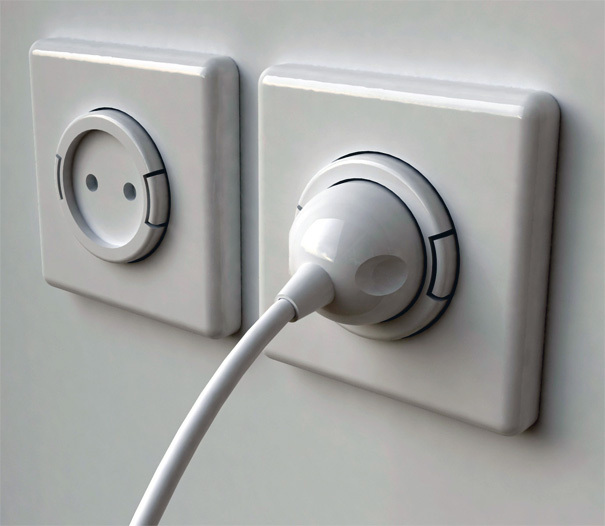 Just open it up an plug in any electronic devices – and when your’re finished, put it in the wall again. After the deed is done, you simply give the wire a gentle tug (activates a spring mechanism), and it recoils back into place. 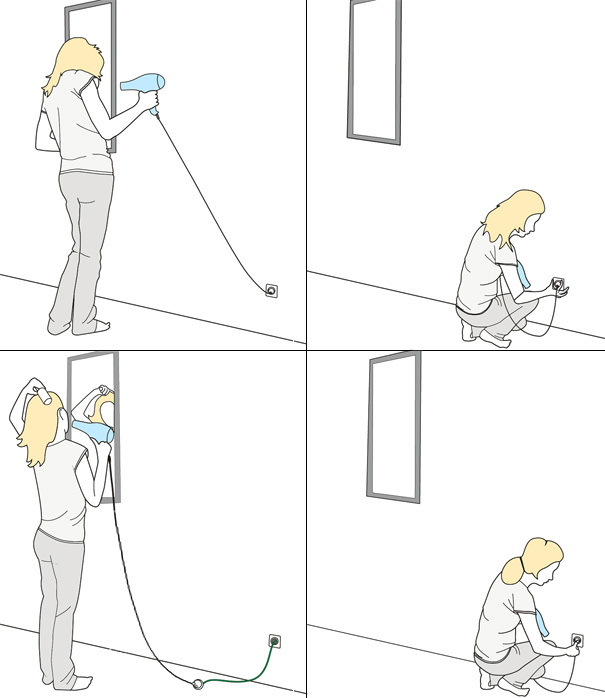 Ideal for using with electronics like vacuum cleaners, hair driers etc where you don’t need extension cords on a full-time basis.